Flower Delivery Birthday Flowers. Finest florists and flowers. It’s not a secret that your birthday comes only once a year. That’s why it should be turned into an event worth remembering. A memorable party, for instance. Or perhaps a dinner for your friends and family in a favourite restaurant. Or maybe both. It’s your special day and you have the right to choose what you want to do. You deserve to be spoiled and to get a lot of presents. It’s your chance to sit next to a huge pile of gifts and to put a giant smile on your face for the day. If you are organising a party, you might consider using the flower delivery services of Flower Shops. We can arrange a splendid decoration for Birthday Flowers Deliverythe event in any kind of style you prefer, starting from elegant and delicate and ending in bright and colourful. We can adorn your place with beautiful vases and baskets of flowers that will match the atmosphere of the party you’re planning to give. Whether you want to create a sophisticated atmosphere or a more relaxed one, our floral arrangers can handle the decoration and make it appropriate for the theme of your party. Seasonal flowers are the better choice if you have a budget that doesn’t allow you to splurge on off-season flowers that can rarely be found at that time of the year. Leave the preparation of your Birthday Flowers in our hands, and you won’t be sorry. What if you’re on the other side, meaning that you’re going to a birthday party or you know that someone has a birthday and you want to show your respect? Flower Shops can make a commonly ordered or a customized bouquet of Birthday Flowers for the event. Creating unique flower arrangements is what we specialize in, and we dare say that we do a great job. You can look through the fabulous photos on our website to see some of the arrangements we regularly make. There are a lot of flower types that we offer, such as lilies, roses, sunflowers, tulips, orchids and many others. We Birthday Flowers Giftalso have potted plants that will surely last longer than fresh-cut flowers if that’s what you prefer to give. And if you can’t be present at the birthday party, we can deliver the flowers for you at a given address at a certain hour. We promise not to be late since our reputation is what we rely on and want to preserve. If you’re going to a less formal birthday party, a good idea is to add balloons to the present and the Birthday Flowers. We have all kinds of messages printed on our balloons. Some of them are funny, others are inspiring. But one thing is for sure – both flowers and balloons can make the birthday atmosphere look more festive. We’ll deliver the perfect flower combinations that not only will stay fresh for longer but also will emit a lovely fragrance. When you have to pick flowers for a birthday, you may use the most common methods – by favourite color or flower variety. The birthday person always gets the attention on that special day. It’s just so exciting to receive presents, flowers and balloons on the day you’ve been expecting for a year. You’ve been counting the last days impatiently and are waiting to be surprised. But the most important thing is that your friends and family care about you. Sending flowers for a birthday is never a mistake. If you’re hesitant whether to do it or not, you should go for it. With your flower bouquet you’re giving not just flowers, but you’re also giving away smiles and delivering a happy mood. If you want to achieve that effect, call us on ‎020 3900 2440. I had my grandma's 79th birthday the other day. I really needed a simple yet beautiful setup and I thought flowers would do the magic, so I embarked on a search and came across Flower Shops. They made the flower delivery on time, and the centrepiece was just exceptional. Thanks. These guys are extremely amazing they made a perfect surprise delivery for my dad's 60th birthday at our place. The prices are just insanely lower compared to other flower shops. Thank you! Something I really appreciate is how Flower Shops tries to treat their customers with care, respect and a high level of professionalism. We are just thankful for making our day worthwhile and the hard work you put together for us. Flower Shops is really great and beautiful. 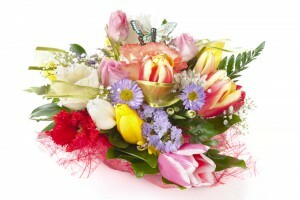 The first appearance of its online florist tells you how prepared they are to serve their customers delightful. I made the order and my face was filled with smiles because of how satisfied I was. Try them, and you won't regret it. The flower delivery was extremely timely, really quick and beautiful with fresh flowers. Flower Shops are just the best. I highly recommend them. My small brother had a birthday so we sought some help from this florist who helped us by delivering some flowers. The delivery was on time, and the flowers were so much fresh. Keep up the good job.